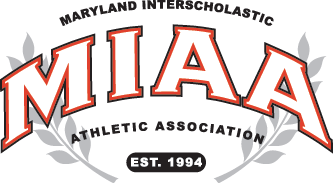 The MIAA A Conference wrestling showdown on Thursday night at Mount St. Joseph did not have the usual drama and nail-biting that typically ensnares matches with rival McDonogh. The top two teams in the state typically engage in tight, back-and-forth affairs, that leaves attendees and wrestlers fatigued. This one did not have a tight team score surrounding it, but it did not lack in the enthusiasm department for both sides (wrestlers and fans). Things kicked off at heavyweight with No. 2 Isaac Righter planting McDonogh’s Cody Williams (No. 9) in the first period, 1:45, for a quick six. Joe Couch (No. 3) received a forfeit at 106 to push the home squad out to a 12-point lead. The Eagles put six of their own up at 113 when No. 1 Cooper Flynn pinned No. 8 Jacob Wright at the 3:32 mark of the second period. No. 1 Chris Barnabae made lightning quick work of Na’im Baker at 120 with an eight second pin. No. 3 Nathan Porter followed that at 126 with a pounding 21-7 major-decision over Mohammed Ndiaye to push the Gaels out to a 22-6 lead. McDonogh won the next two bouts to keep their victory hopes alive. No. 2 Ray Kable edged No. 6 Clement Woods, 3-2, at 132. Sean Scott (No. 8 at 145) dropped to 138 and handed Matthew Jun (No. 7) a major-decision loss, 12-2. At nine, after seven matches (22-13), McDonogh’s deficit would continue to grow as St. Joe reeled off three straight wins from 145-160 to take a commanding 37-13 lead. Chris Roybal (No. 10 at 152) moved down to 145 and encountered Ryan Leventhal, a former state placer. Leventhal’s previous glories were as a lightweight (106 and 120), but now the senior has grown into the higher weight after struggling with injuries last year. Roybal, a two-time state placer, came up just shy of a major-decision, winning 9-2. Bradley David (152) has been filling in for the injured Connor Strong, bouncing from 145 to 152 as needed. On paper, his bout with Aidan Hurdle had to be considered a toss-up. The sophomore showed the stage wasn’t too big for him as he came up big for the Gaels, sticking Hurdle in the first period, 1:42. Getting points was No. 2 Zach Phillips plan when he stepped on the mat to face Harrison Trahan (No. 3 at 152). The senior tends to get defensive in tough matchups sometimes, but that was not the case on this night as Phillips pressed the action in the second period and came out with the fall, 3:10. At 37-13 and only four matches left on the docket, the best McDonogh could hope for was a tie and four pins would be a tall order. No. 2 Dominic Solis could only manage a 4-0 win over No. 5 Jonathan Short at 170, and with that result, the Eagles’ victory dreams were gone. Justin Henry (No. 2) added the final three points to St. Joe’s tally at 182, defeating No.6 Jackson Bonitz, 6-3, for a 40-13 edge. No. 2 Jack Wimmer (195) and No. 1 Garrett Kappes (220) picked up decisions for McDonogh in the last two meetings to make the final score, 40-22. Wimmer came out ahead of a game Ethan Stern (No. 8), 7-3. Kappes worked for an 8-4 win over No. 8 Parker Warner. The win was St. Joe’s fifth consecutive one of their long-time nemesis. This marks the fourth straight regular season dual win, plus one win at the Who’s No. 1 Dual Tournament in PA in 2017.